since 2006, and non-campaign work, which has been managed by Zenith since 2012. For MediaCom, the win is further evidence the agency has turned around its fortunes in the past 18 months after a restructure and wave of leadership changes, including the key appointment of Willie Pang and Melbourne boss. The agency gradually built momentum in 2016 by picking up the media buying of Mars, News Corp's digital work and new business wins in Uber and Carnival Cruises. Seamer previously told AdNews his vision for Melbourne was to create a standalone operation in Victoria's capital with Pang at the helm. These plans must now quickly come to fruition to serve one of the largest media clients in the country. Government accounts offer huge budgets but are also notoriously demanding and accountable over cost. They provide agencies with a certain level of clout in the market. 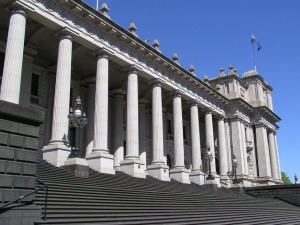 Victoria Government is Dentsu Mitchell's second-largest client behind the Federal Government, which is due to go to pitch in the final quarter of this year. All agencies involved declined to comment on the tender process. The Victorian Government hasn't yet released advertising spend for its FY17 but has outlined where it intends to spend money, with agencies taking up to three-quarters of the media budget (see chart above). Campaign advertising: designed to inform, educate and change change public behaviour. This has been carried out by Dentsu Mitchell. Functional advertising: used to inform the public or public notices, meetings, requests for tender, enrolment notices, regulatory notices and safety announcements. Recruitment advertising: for specific job vacancies, although large scale industry recruitment drives could fall under campaign. These final two parts are non-campaign work, carried out by Zenith. MediaCom's remit includes all of these components. The split of this in FY16 was $60 million for campaign work, $10 million for functional and $5.5 million for recruitment notices – a total of $75 million. AdNews understands the total value to agencies is closer to the $90 million mark, particularly as there will be a state election next year. The biggest spender in Victoria is usually the Transport Accident Commission. In FY16, the roads agency spent $16.8 million on road safety campaigns, focusing on speeding, drink driving and drug driving. Other big spenders that fiscal year include WorkSafe Victoria ($6.76 million), Victorian Responsible Gambling Foundation ($5.76 million), Department of Justice and Regulation ($5 million) and Cancer Council Victoria ($4 million). Government spending on advertising has almost halved since 2009-10 when the total spend was $130.3 million. All eyes will now turn to the NSW Government media review (sits with UM) which is currently in play, while the Federal Government tender should launch later this year. MediaCom has won the Victorian Government master agency media services contract and will replace long-term campaign media partner Dentsu Mitchell and non-campaign partner Zenith, AdNews can reveal. The $90 million account is one of the largest in Australia and represents the biggest victory of current CEO Sean Seamer's tenure. MediaCom will take over the account in December after the current contract was extended by three months to accommodate the protracted tender process. The contract runs for three years with options to extend. Their remit will include media planning and buying across all government departments and agencies. This includes campaign work, the larger share of billings that has been managed by Dentsu Mitchell since 2006, and non-campaign work, which has been managed by Zenith since 2012.